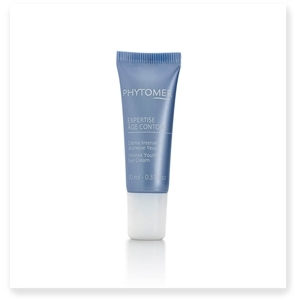 Phytomer's EXPERTISE AGE CONTOUR Intense Youth Eye Cream is specially formulated for mature skin around the eyes, effectively combats signs of aging. Phytomer's CONTOUR RADIEUX Smoothing and Revivng Eye Mask, formulated with a powerful combination of active anti-fatigue ingredients and a creamy, fresh texture, is an essential treatment that effectively fights against puffiness and drooping in the eye contour area. Phytomer's YOUTH CONTOUR Smoothing Eye and Lip Cream is a true cocoon of youthfulness for the fragile eye and lip contours. It softens existing wrinkles, helps prevent their appearance and reduces puffiness and dark circles for a visibly smoothed and a lastingly rested eye contour. PHYTOMER revolutionizes the cosmetic approach to anti-aging with XMF, an advanced ingredient that creates an invisible film on the skin surface to instantly smooth and visibly correct signs of aging.